Not long after The Flash concluded its second season, many took to social media saying the shocking finale hit them in what the kids are calling “the feels” these days. I too was surprised to see the show’s producers make the choice they did, at least at first, but when you have access to a veritable treasure trove when it comes to source material, why not take advantage? If you aren’t up to speed and don’t mind being spoiled, the twist I’m referring to saw Barry Allen once again travel back to the night of his mother’s murder, only this time he prevented the Reverse Flash from delivering the killing blow, as opposed to letting fate take its course as he did at the end of the first season. While some may see this as a step backward, comic book fans know exactly where this is heading and were proven correct today when Grant Gustin, The Flash himself, decided to play a teasing game on Twitter. There you have it. 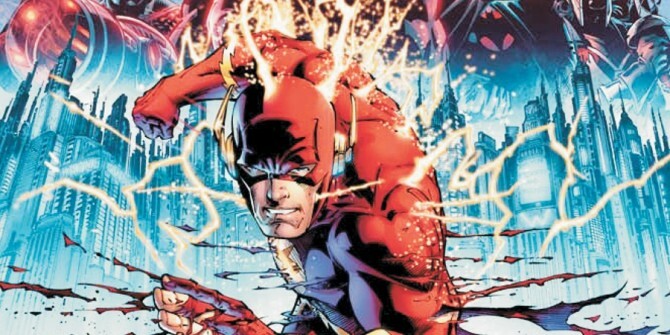 Flashpoint, the event that turned the DC Universe on its head and led to the relaunch that was The New 52, is actually going to happen in live action! For those unfamiliar, Flashpoint was a five-issue mini-series that saw Barry Allen travel back in time to prevent his mother’s murder, similar to what was discussed above. Only when Barry woke up, he found a world at the brink of destroying itself: some heroes were villains, some villains were heroes, and, most troublesome of all, he was bereft of his super-speed. With the help of Batman/Thomas Wayne (hey, I did say things were a bit different) and a few other heroes, Barry was able to reset the timeline, albeit with some major changes. Whether or not major changes come to the TV series itself remains to be seen. If you don’t feel like reading the comic book story arc, at least check out the animated film Justice League: The Flashpoint Paradox, which was a very faithful adaptation. The Flash returns with new episodes on Tuesday, October 4 on The CW.